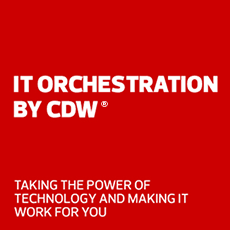 Protect your environment with Symantec solutions by CDW•G. Symantec protects the cloud generation through its Integrated Cyber Defense Platform, a complete portfolio for securing cloud and on-premises environments. The Endpoint Protection Cloud is a security solution for teams with limited IT resources. It manages devices and servers and defends against sophisticated attacks using machine learning and behavior analysis. SEP Cloud stops advanced threats and rapidly mutating malware regardless of how they attack your endpoint. Symantec's cloud-delivered security services provide operational efficiencies that drive down the total cost of ownership and of endpoint security. Cryptojacking is on the rise. Symantec's most recent report has the numbers to help you track cryptojacking and other new security concerns. Symantec's Endpoint Protection 14 enables IT security teams to detect threats in network and address them with orchestrated responses. Symantec endpoint protection now defends mobile devices, with predictive threat intelligence and device- and server-based analysis. Symantec VIP's cloud-based multi-factor authentication builds layers of security into customer-facing web and mobile apps. Symantec Data Loss Prevention 15.0 gives you visibility and control over confidential data with content-aware detection technologies and cost-effective appliances. Uncover shadow data in the cloud with an integrated security solution that combines data loss prevention and cloud access security broker technologies. Symantec Advanced Threat Protection uncovers and prioritizes advanced attacks entering your organization through email and defends with cloud-based sandboxing, additional spear phishing protection and targeted attack identification. Symantec’s Email Security Service is the first comprehensive cloud email security solution to receive the FedRAMP authorization accreditation. It provides inbound and outbound messaging security against the latest messaging threats for popular email systems such as Microsoft Office 365, Microsoft Exchange and Gmail. Get cloud workload protection with automatic discovery and continuous visibility across various platforms. Securely adopt cloud apps and meet your regulatory compliance requirements with Symantec CASB. Get comprehensive cloud-delivered network security services for your enterprise’s data, apps and users. Protect users from malware and phishing threats without over-blocking access to the web.